For those who weren't readers of Bubble Meter during the housing bubble peak years, Bubble Meter has long had a tiff with David Lereah, the former chief economist at the National Association of Realtors. 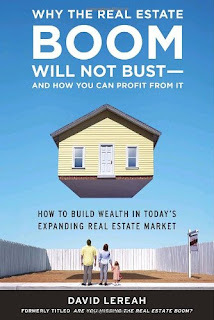 David Lereah regularly deceived people by making rosy housing market predictions during the bubble, in order to encourage them to buy homes that were overvalued. And, yes, David Lereah lives in the Washington, DC metro area, which gives lie to the idea that home prices in the DC area don't fall. According to The Wall Street Journal, David Lereah drives to Dunkin' Donuts or McDonald's for breakfast every morning. The closest to his home are both in the same strip mall right by the GMU Fairfax campus. Year-over-year home prices are down 4.1% according to the latest S&P/Case-Shiller data. Yale economist Robert Shiller predicts prices could fall 15% - 25% more. 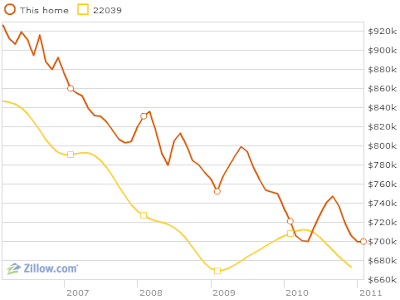 Home prices took a big hit at the end of 2010, even as the rest of the economy gained steam. And things may get a lot worse, said Robert Shiller, a Yale economist and half of the Case-Shiller team, in a web conference after the report's release. "There's a substantial risk of home prices falling another 15%, 20% or 25% more," he said. Here Paul Krugman is talking about the right wing in general, especially Tea Party types, but the paragraph on economic statistics could easily be applied to the Shadow Stats website and its cult members followers. 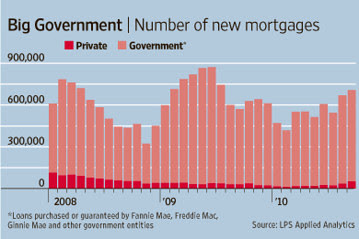 This graph from The Wall Street Journal shows the number of new mortgages backed by the government vs. those not backed by the government. The Obama administration will issue a proposal later this week recommending the gradual elimination of government-sponsored mortgage backers Fannie Mae and Freddie Mac, a White House official said Wednesday. The highly-anticipated "white paper," which is expected to be released Friday, will include three different options for reducing the role government plays in the mortgage market, the official said. While the paper would mark an important development in the debate over what to do with Fannie and Freddie, a final decision by Congress is not expected any time soon. After being rescued by the government in 2008, Fannie and Freddie have presented a major conundrum for policymakers in Washington. The problem is that phasing out the two publicly traded companies could raise borrowing costs for homeowners and jeopardize the fragile housing market. At the same time, Fannie and Freddie represent a major liability for taxpayers, who are on the hook for about $150 billion in federal aid the two institutions have received. What will we do without the government subsidizing home buying? 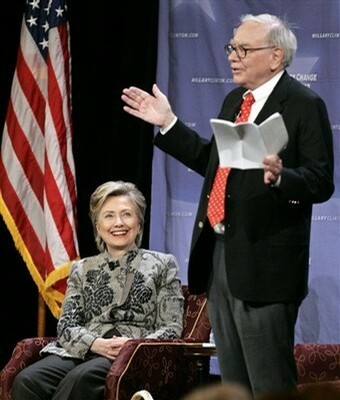 Oh, wait, there's still the home mortgage tax deduction. 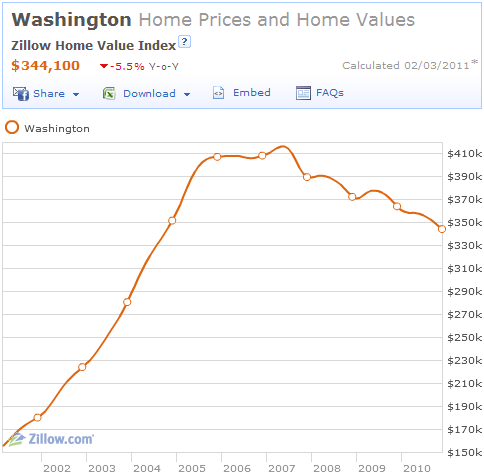 Anybody want to start the bidding on a pretty nice piece of Washington, DC real estate? 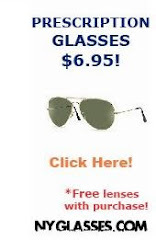 It's probably not a good time to go job hunting there, though. Apparently you get to live in a closet.